Hello! I'm the Mr. when it comes to these chronicles of our home. I'll be your guest blogger today. Restoring, repainting, refinishing, or just generally making it better? I am your guy! Today we're going to breathe some new life in to an aging china cabinet. A china cabinet can be a focal point or a focal failure. This piece was picked up via Craigslist where it was definitely a focal failure sitting in a cement walled garage. 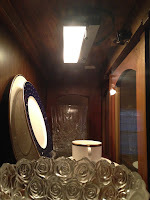 It was in need of a lot of help; the pulls on the lower cabinet wore terrible marks in the doors, the cabinet light was out of date, plus the cable was frayed, and there were quite a few nicks, scratches, and marks all over. Pledge Multi Surface is safe for woods and most surfaces. 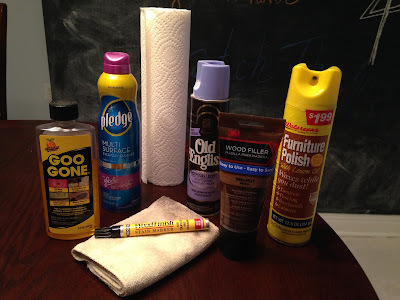 I used it to strip away the years of grime and prior polishes from the cabinet. Goo gone was on back up for extra tough spots. It's important when beginning a restoration project to start with a clean surface, especially on wood. With as many nicks and scratches that needed to be cleaned up, I wanted the stain and wood filler to adhere well and last for the long term. It's smart to be very thorough in cleaning. I removed all of the doors and glass so that I could get in to each nook and cranny. With the cabinet clean, we brought it inside where we placed it against the wall, I began a methodical twice over with the wood filler and stain pen, focusing on where the door pulls had worn heavy marks in to their mounts. If you have any wood furniture, then you need a stain pen on hand. It's a simple, quick tool to fix most all your basic scratches. The years had not been good to the doors. While a stain pen can normally do a perfect job on the first go around, this cabinet needed a little something extra. The process to help blend the stain with the aged wood was lengthy. I applied a layer of stain from the stain pen. After about an hour of sitting, I would go back with a clean paper towel and gently rub the stain to blend it in. After repeating the process about 5 times the stain was blended and covered the scratches beautifully. 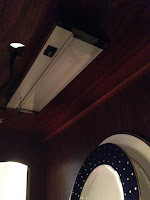 Next on the to list was replacing the aged light fixture that originally came with the cabinet. The Mrs. and I discussed a few different options. 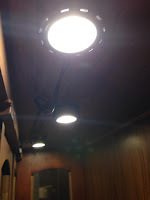 We started with puck lights, but were unhappy with the harsh LED lighting they produced. So we pulled them out and replaced them with a nice sized halogen cabinet light. The final steps are crucial. Remember back at the beginning we stripped all the grime and old polish off the cabinet? Now it needs to be polished. That's where the Old English and Furnish Polish come in. They add a layer of protection to the wood that helps repel dust and gives it a nice sheen. Now for the difficult part, how do you arrange your china cabinet? You did a great job cleaning up your china cabinet! It looks awesome! wow, you did an amazing job! And I never thought of a stain pen, i need to pick one of those up! You cleaned this up great! I'm a huge refinisher-upcycler-DIYer, so I would have totally made this hutch over in a totally different way. But you made it better in its original glory! I love it! I had no idea a stain pen could do all that and basically work a miracle!! I would love to refurbish some furniture and make it feel like new again. This is totally a project I'll have to look into when I have a house. I cannot wait until I have my own China cabinet one day!!! You did a wonderful job! Great job with this! So many good tips so I can try to do this on my own! Great job, again! Amazing job cleaning it! This China cabinet is gorgeous. Great job, that China cabinet looks great! I don't have anything that needs to be cleaned up, but I will definitely be keeping this in mind - it sounds really helpful! These are some amazing tips! I've got to get a stain pen, all of the furniture in my living room is wooden and it's definitely got some marks! ...Some of which might be my fault lol. 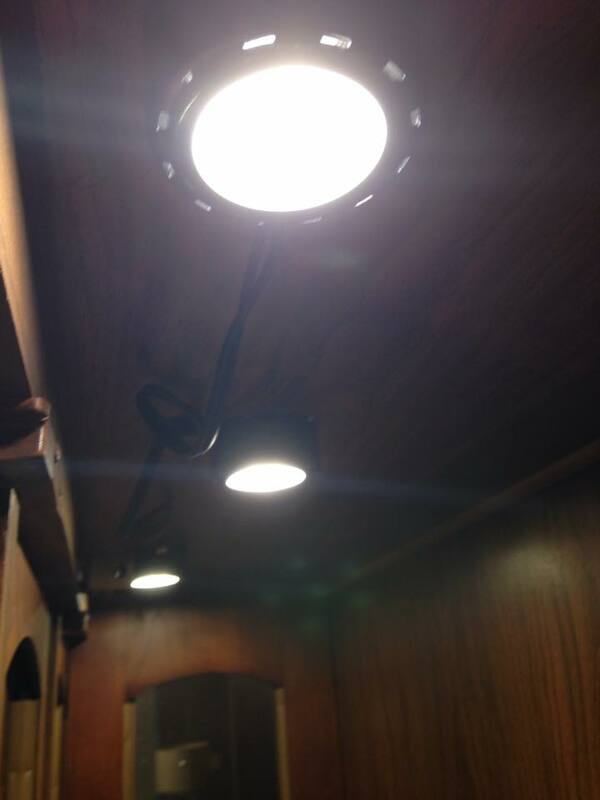 Love how you replaced the lighting too! What a cool post, you did an amazing job! Wow! 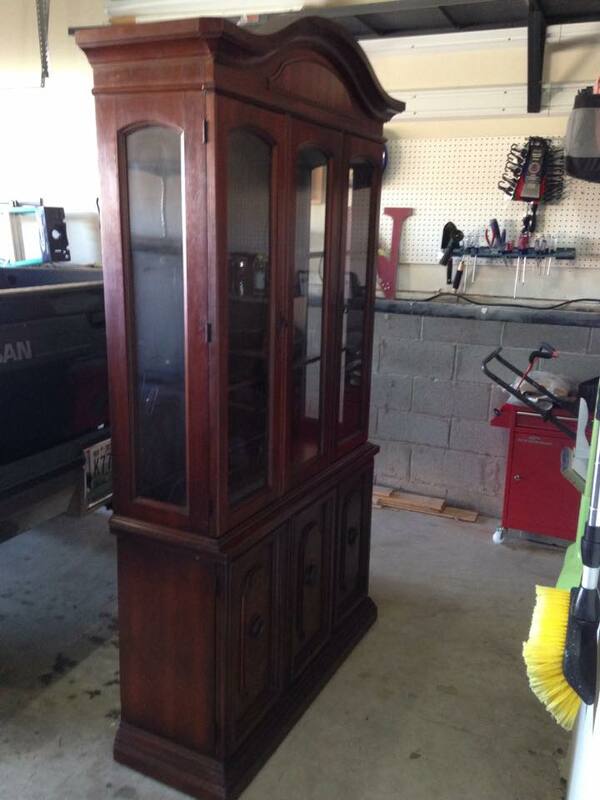 Amazing job with the china cabinet! It is beautiful! You did an amazing job! It is beautiful!! I have seen quit a few post on refinishing used furniture which has sparked an interest. I am looking forward to taking on such a task. You did an amazing job on the china cabinet. This is so helpful to touch up a china cabinet! I'll have to keep these tips in mind when I'm finally able to buy one. Wow it came out so great! I would be so nervous to take on a task like this but your tips make it sound like I could handle it!